The marquee feature length attraction of Manding Jata, Sajoo “The Gathering” features the full spectrum of West African Mande performance styles including 700 years of traditional Mandinka “jaliya” repertoire, Malinke drum and dance, dozo/hunters music, Bamana music and dance and current songs from across the culture. 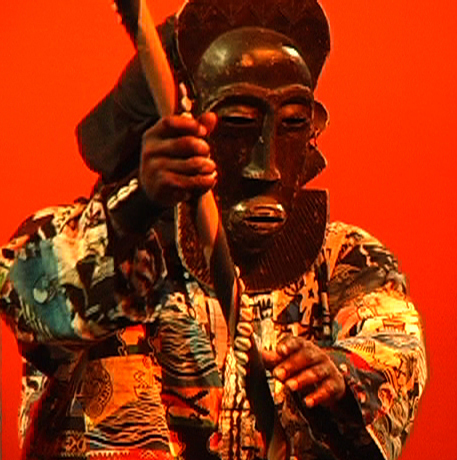 Performances may also feature theatrical and stylistic elements unique to Manding Jata including mask mime, nyri nyro/bull roarer, masquerade, comedic turns and circus arts. Next season this production will feature illusions as a further optional component. Sajoo “The Gathering” includes theatrical lighting cues and optional digital projections. 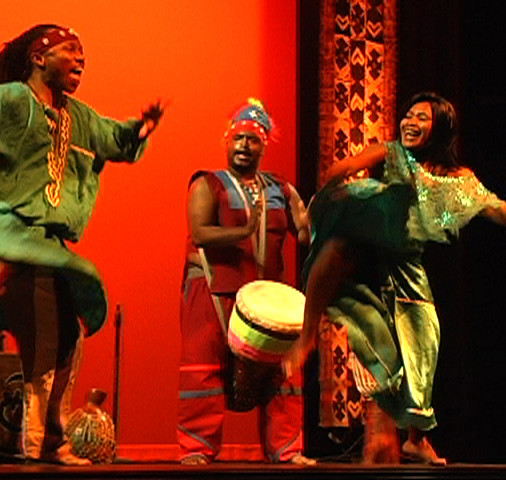 The first set of this show often features the music and dance theatre production The Sunjata Epic. See full details for Sajoo “The Gathering”. 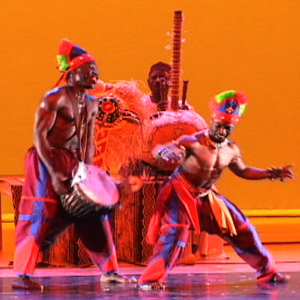 The original Manding Jata production, the music and dance theatre presentation Sunjata Epic unfurls one of the great stories of human history – the rise of the invalid prince Sunjata Keita, and the founding of the Manding or Mali Empire, centred in the fabled city of Timbuktu. The show includes a narrative which is available in any language and a comprehensive and fully illustrated study guide. The Sunjata Epic typically features five artists but can presented with four or more depending on the type of event. See full details for Sunjata Epic. A term used to describe the power or transcendent effect of the jaliyaa “art of praise” used by the jali (French = djeli) class of musicians. Djeli Nyama is designed for outdoor festivals, clubs or concerts and features timeless Mande songs of celebration and the extensive music and dance repertoire of Manding Jata. The fast paced educational production Manding Empire Revealed has been featured for thousands of school audiences globally. If the Sunjata Epic conceals the hidden treasures of this cultural epic under a cloak of mystery, The Manding Empire and the fabled city of Timbuktu are revealed for inquiring minds of all ages through this show. The Manding Empire Revealed is presented by Noumoufassa, the educational sub-group of Manding Jata, and typically features three artists. The show is punctuated throughout with cultural, geographical and historical interludes and also features a large map for maximum educational impact. Study guides are available for download. See full details for Manding Empire Revealed.